The Collab Blog: Create - Annotate - Publish! "Create - Annotate - Publish" is the framework that Ben Friesen from EdTech Team used in the workshop on Student Engagement that he presented to District 214's ITF / DTC team. For each category Ben demonstrated several apps and gave participants time to try them out. This blog post will highlight a few of our favorite apps from the workshop. A great app to do visual notetaking or sketchnoting. Make thinking visible and demonstrate your learning! If you are interested in learning more about sketchnoting, and uses for this app, check out this previous Collab Blog post on Sketchnoting. Last week our Teaming on Tuesday professional learning day focused on AdobeVoice. Vidra is another presentation tool,similar to Adobe Voice, that it is "user-friendly" and a great tool for students to create presentations with their voice and photos to demonstrate their learning. Give students the opportunity to unleash their creativity, have fun, and demonstrate their learning with this green screen app! Help students dig deeper and analyze the learning they create! Notability is a versatile app that students can use for notetaking, presenting, and also annotating. Students can use Notability to annotate work they create to engage in the metacognitive process of reflecting on their learning and demonstrating it to others. Thinglink is a great interactive app that students can use for presentations, but also to annotate to reflect their learning. Ben shared this blog post that gives great ideas for creating Thinglinks. Check it out! One of my favorite quotes from the workshop was, "What if student work were published instead of just ending up in the "wire basket" for just the teacher to see?" Publishing can have a tremendous impact on student learning. If students know they are publishing for an audience beyond their teacher, it raises the bar for them to reflect more deeply on their learning before they share it. Furthermore, publishing creates an opportunity for students to receive more feedback on their work. Publishing can done on very open social media forums, but to control the audience more, apps such as Schoology and Seesaw offer great options. Students can publish their work to just the peers in their class. Those classmates can share comments and offer feedback. Furthermore, the published examples can serve as models of work to inspire improved learning. Schoology Media Albums are a great way to publish student work, just to members of the class. 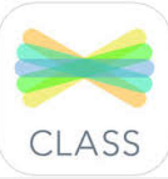 Seesaw: Seesaw is a great app to create archives of student work, and to give students the opportunity to do peer review. 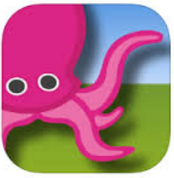 It is a great app to curate artifacts of student learning. This post highlights just some of our favorite apps from the workshop. We hope you will be inspired to try at least one of them. If you would like support, please contact us in the Collab Lab. We would love to play and learn with you! And, if you have examples of your own experience with these apps, please share with us! To conclude, we'd like to give a big shout out to Ben Friesen and the EdTech Team for inspiring our D214 team in our professional learning and our collaborative learning with our students!